I remember it was in the late 90's that started the boyband craze in the Philippines. New Kids on the Block (NKOTB), BoyzIIMen, Nsync, Backstreet Boys, 98 Degrees, Moffats, Boyzone and Westlife were some of those groups that became popular then. 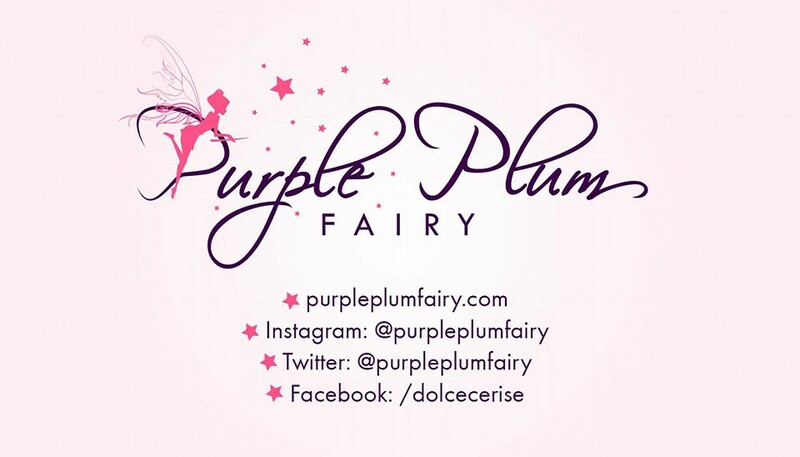 Most of these groups had already disbanded like NKOTB (they lead separate lives already), Nsync's Justin Timberlake went solo, 98 Degrees' Nick Lachey also went on his own, later marrying Jessica Simpson and then Vanessa Minnillo. We never heard from Moffats again. As for Westlife, the group that originated from Dublin, Ireland--people thought they had also called it quits & because they seemed to have become inactive since then. Westlife was established in 1998 with five members named Mark, Shane, Nicky, and Kian and Brian (left the group in 2004). With Pop ballad style, Westlife has quickly become one of Europe's top boybands after a lot of love songs like my fave song back then entitled Fool Again, Flying without Wings, Seasons in The Sun, My Love or I Lay My Love On You. In 2009, Brian McFadden, left the group. I could still recall some of them since I had also been a follower of those groups way back then. Although I'm not really an avid fan, I know they had a lot of following, some of them used to adorn their rooms with pinup posters of those amazing boys. Westlife have now reached a huge 3 million fans on Facebook! To celebrate this achievement the boys have recorded a ‘Thank you’ message for their fans. 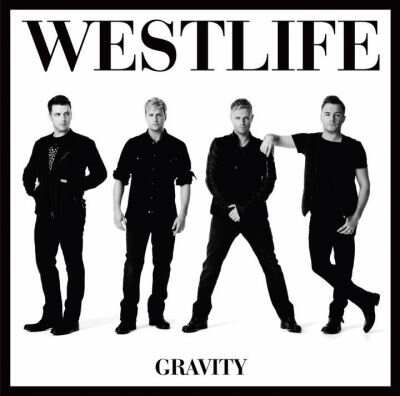 Westlife fans will be glad to know that they will be coming to the Philippines this coming September as part of their The Gravity Tour 2011. Westlife are excited to announce the release of their new Greatest Hits album which is due for release later this year. To date, 25 Westlife songs have reached the Top 10 in the UK Singles Chart, 14 of them reaching the Number 1 spot. In addition to their chart hits, Westlife have announced that there will also be some brand new songs featuring on the album. 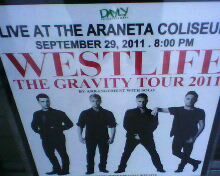 Westlife The Gravity Tour 2011 one-night only concert will be held on September 29, 2011 at the Big Dome, Smart Araneta Coliseum, Cubao. The Philippines is only one of the Asian destinations of the popular boy band along with Indonesia, Vietnam, Hong Kong, Taiwan and Singapore. Tickets are now available at the Araneta Center Ticketing Office & at selected SM ticketing outlets.